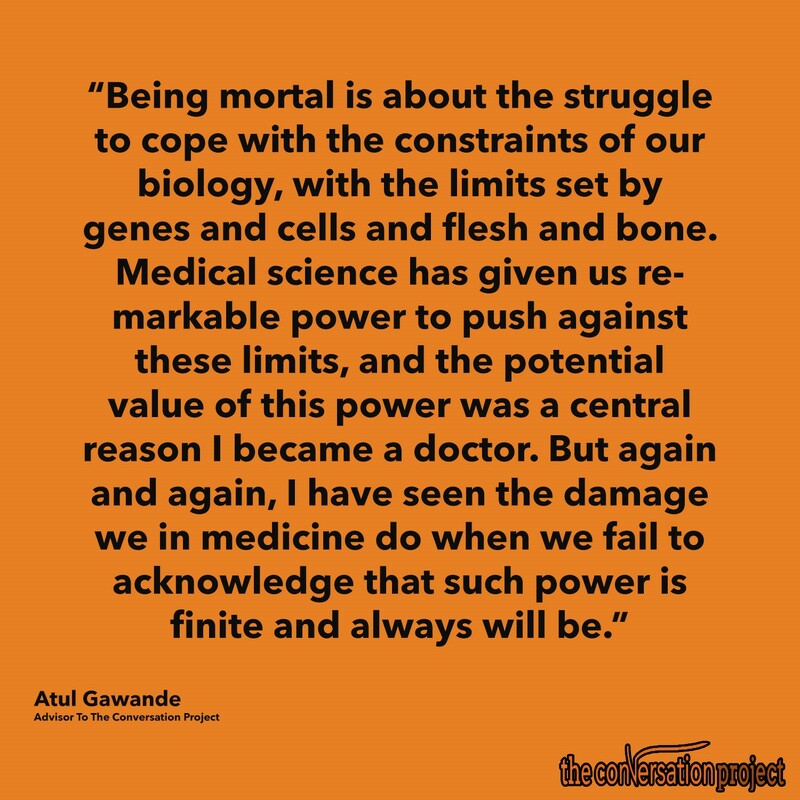 Did we miss one of your favorite passages from Being Mortal? 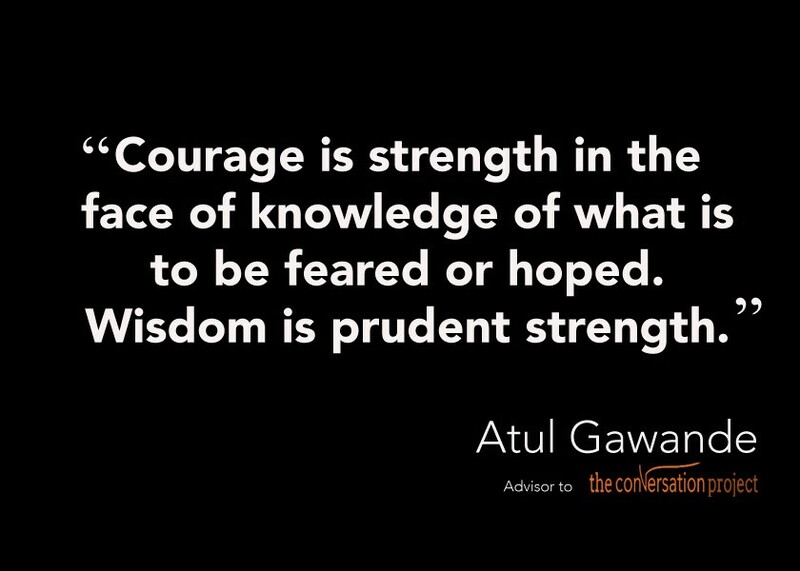 Share that quote with us on our Facebook or Twitter @convoproject. We love hearing from you! People with serious illness have priorities besides simply prolonging their lives. Surveys find that their top concerns include avoiding suffering, strengthening relationships with family and friends, being mentally aware, not being a burden on others, and achieving a sense that their life is complete. Our system of technological medical care has utterly failed to meet these needs, and the cost of this failure is measured in far more than dollars. 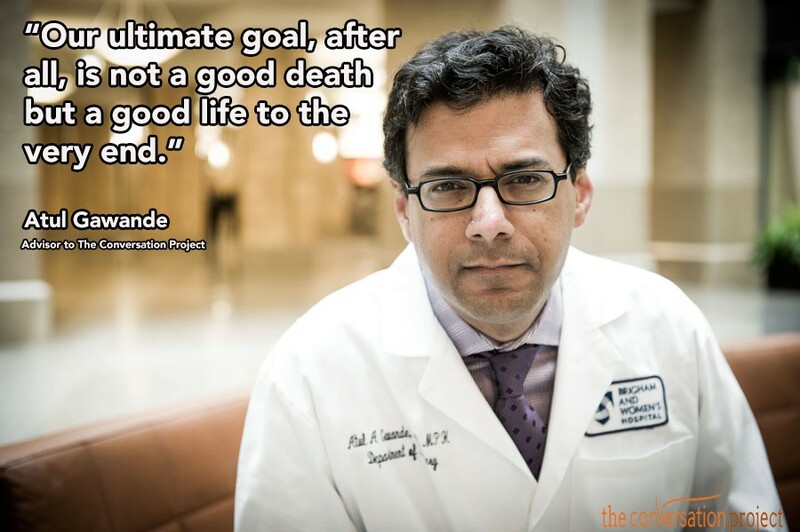 I find the approach Dr. Gawande is taking with end of life decisions to be refreshing. It is in stark contrast compared to my own experience with the medical community during my own father’s death and dying. In Dad’s case, cancer was diagnosed just 30 days before his death. The cancer had progressed extensively and the chances of chemotherapy being effective were all but nil. The oncologist assumed that Dad and our family would want to fight the cancer no matter how remote the chances of success. Perhaps the doctor believed he was following his oath to do no harm. 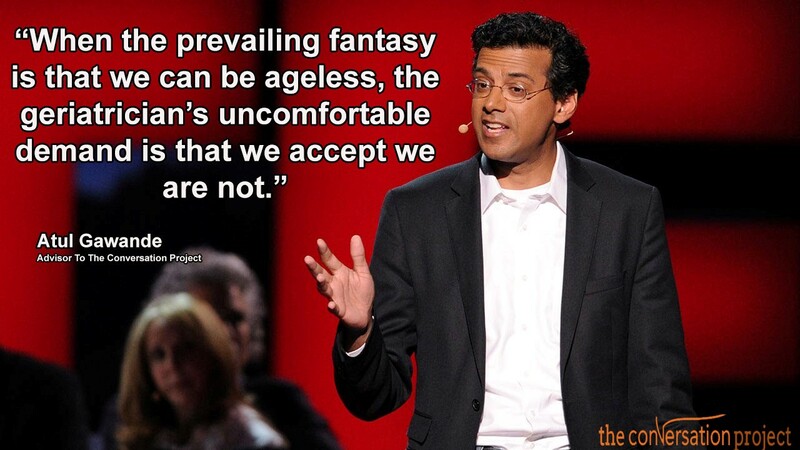 The question becomes how we define harm. In my Dad’s case, would it have been better to live out the remainder of his short time on this mortal coil at home surrounded by family and friends; or how he in fact died, in a hospital, racked in pain and in constant discomfort arguably made much worse by his medical treatment. 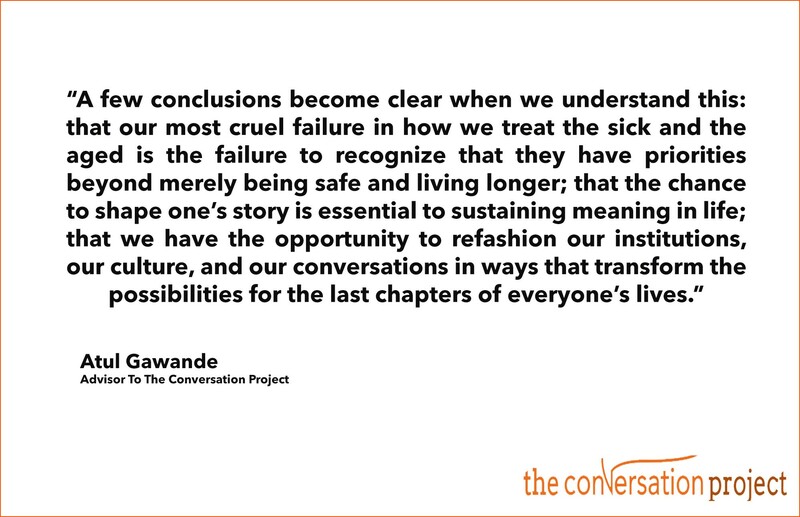 Informed decision making is really what “The Conversation Project” is really all about. 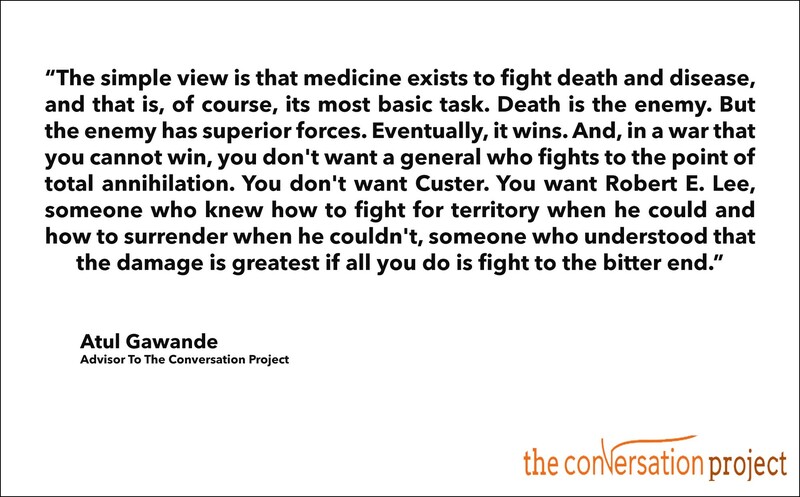 In the approach that Dr. Gawande advocates, the dying person and their family are able to make better choices medically with complete transparency and a holistic view in mind. My experience with Dad has informed my practice as an elder law attorney. 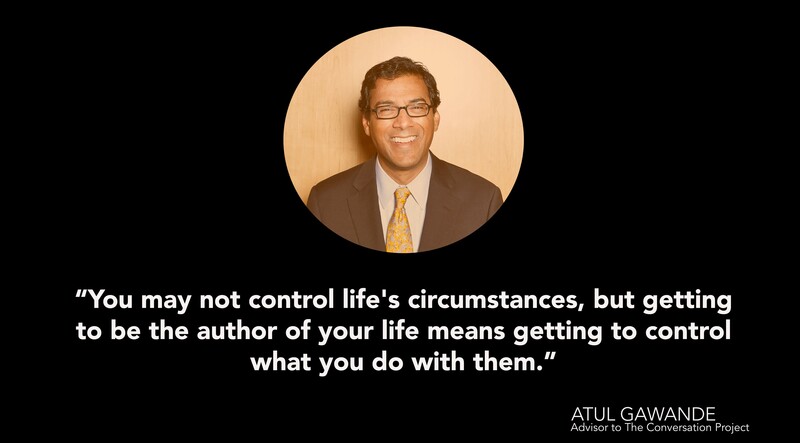 I advocate with my clients and their families to have “the conversation” as far in advance as possible so that the client’s values can be reflected in decisions that may need to be made if they are no longer able to speak for themselves. 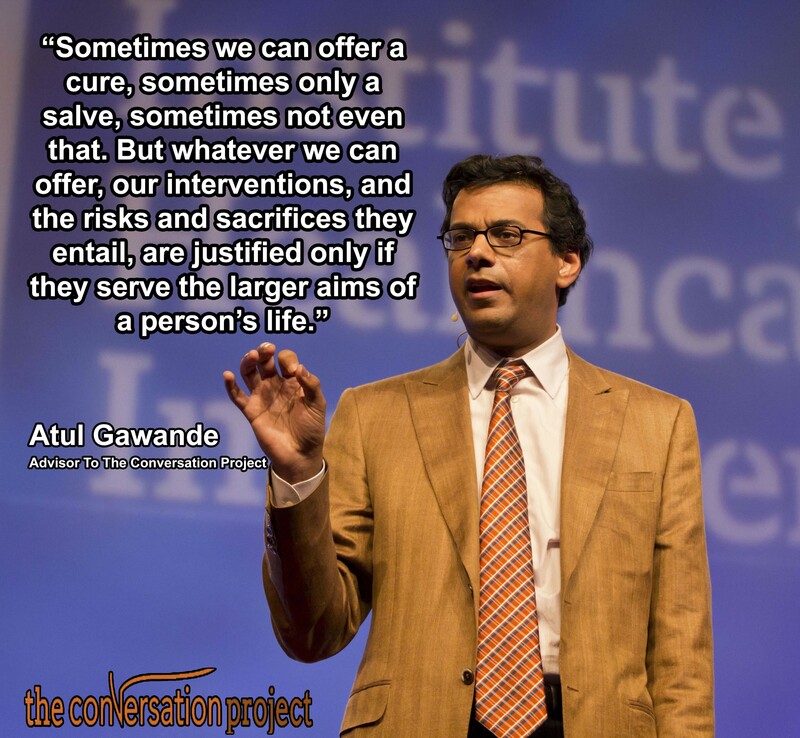 I hope that Dr. Gawande’s work and the Conversation Project signal a change for the better in the way we all deal with these important issues. I think this can mean greater peace of mind for us all. We are a local library on Cape Cod. 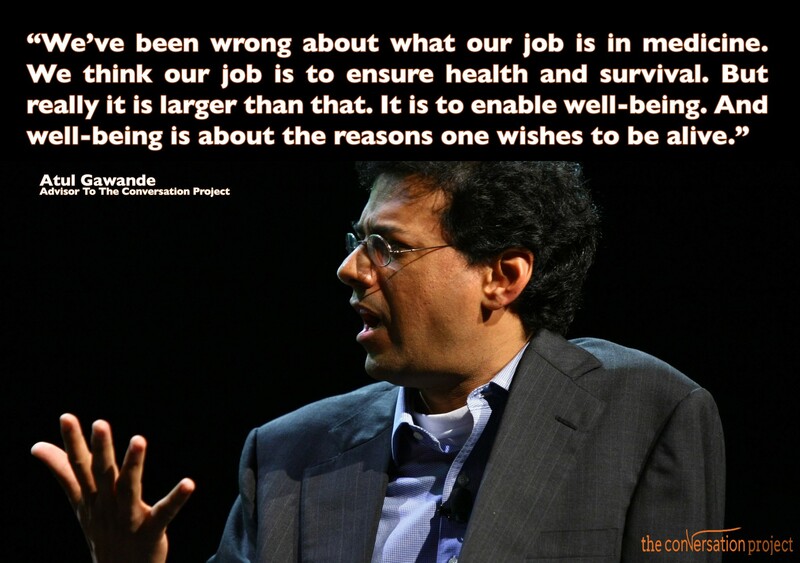 We would be very interested in having Dr. Gawande or a representative come to speak about the book and answer questions. Close to 25% of Cape Cod’s population is elderly. This topic would be very relevant.